Have you seen the clue ‘London theatre, Old …’ and wondered who Old Vic was? This famous London theatre was originally named The Royal Coburg Theatre when it first opened in 1818 but was renamed the Royal Victoria Theatre in 1833. It soon became known as the Old Vic and the name has stuck. From 1914-1923 the Old Vic produced all of Shakespeare’s plays and from then on the theatre’s fame grew. The building was severely damaged during WWII, but was rebuilt and reopened in 1950. Old Vic not only referred to the building but to the theatre school and also to he repertory company who have toured around the world and spread the Old Vic’s reputation for fine theatre. In 1946 the Bristol Old Vic was established and in 1973 the Young Vic was created. 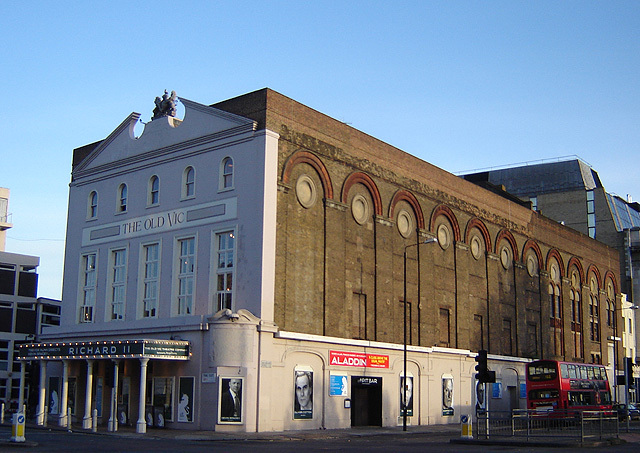 In 1998 when the theatre was for sale it was suggested it could be converted to a pub or club but was rescued by the Old Vic Theatre Trust charity in 2000. Many great names are associated with the Old Vic, including Sir Laurence Olivier, Sir Alec Guinness and Sir John Gielgud, Dame Judi Dench and Dame Maggie Smith. In 2003 Kevin Spacey became the artistic director.